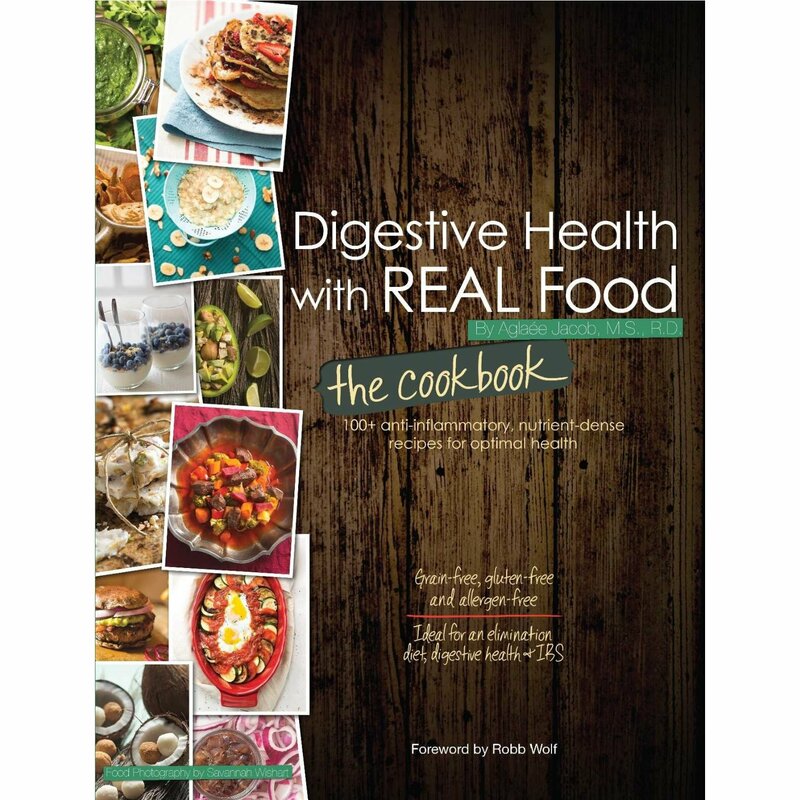 The recipes in Digestive Health with REAL Food: The Cookbook expand on the information first introduced in Digestive Health with REAL Food by providing 100+ more delicious recipes to help you build your own optimal diet. Learn more about what is in the cookbook here. Each recipe, developed by registered dietitian Aglaee Jacob, utilizes foods that are easy to digest, anti-inflammatory, nutrient-dense, healing and low in irritants and allergens with the intent of addressing numerous digestive problems. Every mouth-watering recipe is accompanied by a captivating full page color photo, to entice readers into the kitchen where they can create flavorful foods that will help them take back their health. Robb Wolf wrote the foreword for this book. Robb Wolf is the New York Times Best Selling author ofThe Paleo Solution The Original Human Diet. A former research biochemist and one of the world s leading experts in Paleolithic nutrition Robb has transformed the lives of people around the world via his books, seminars, and iTunes podcasts. He is a co-owner of NorCal Strength & Conditioning, and has coached athletes at the highest levels of professional and amateur sports. Learn more about the companion book “Digestive Health with REAL Food“ to better understand Aglaée’s approach to heal your gut and improve your overall health. Hi are there two versions of the “the cookbook”? I am confused as some say 75+ recipes and others say 100+ recipes? Is the book Paleo, low fodmap? I am looking for recipes to fit your chart.